Product categories of Synthetic Hair Knot, we are specialized manufacturers from China, Synthetic Hair Knot, Black Synthetic Hair Knot suppliers/factory, wholesale high-quality products of Custom Synthetic Hair Knot R & D and manufacturing, we have the perfect after-sales service and technical support. Look forward to your cooperation! 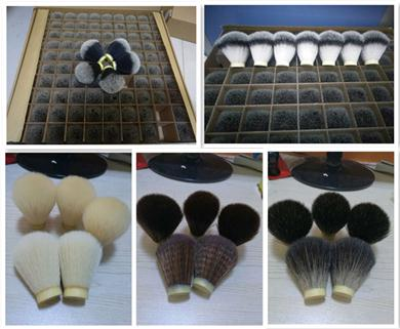 Synthetic Hair Shaving Brush Knot: Synthetic hair knots are a good option for those who would like to avoid animal fur. These are typically made from nylon and the bristles are medium stiff. While they don`t hold water as well as Badger Hair Knots, they are a good option for those who may have allergies to animal hair.